I am pleased to announce that a show I curated at Artspace New Haven is opening this week featuring the work of Jennifer Davies, Karen Dow, Alisa Dworsky and Martha Lewis. The opening is 5-8 this coming Friday the 8th in New Haven. Come by if you can! I will post install shots and the curatorial statement later this month, but I wanted to let you know about the opening and that it will be up until January 25, 2014. Matt Krefting, a musician, writer and a friend, wrote a moving and deeply personal eulogy to Lou Reed on his blog that I truly enjoyed. The internet seems to agree with me seeing as Huffington Post put it up last week. It is incredible to consider how important our relationships with artists and musicians that we never meet (my case, not Matt’s) can be. Lou Reed’s music, his own and as part of the Velvet Underground, were influential not only throughout the modern history of music but in the visual and performing arts as well. 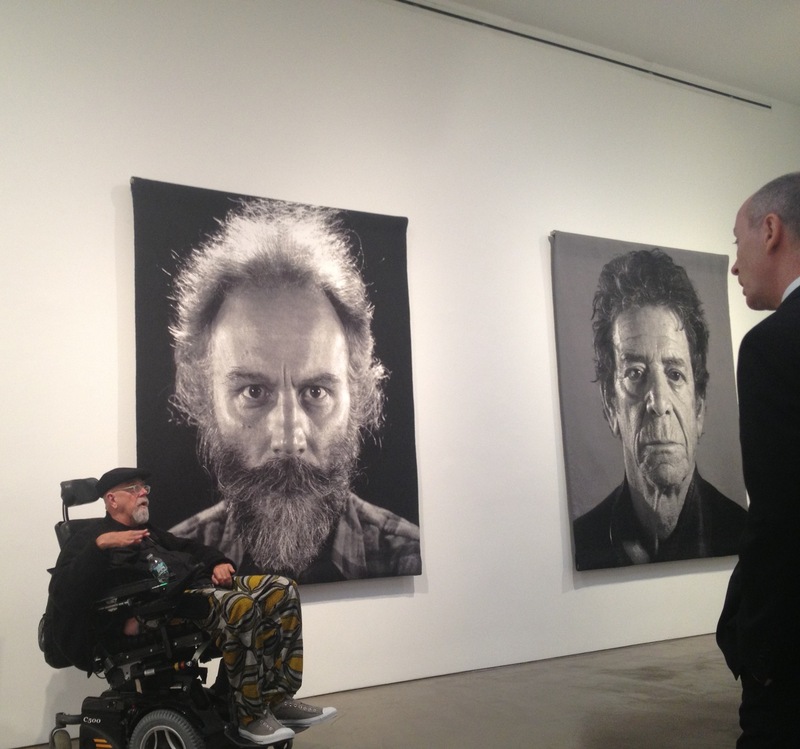 Chuck Close in 2012 with Tapestry portraits of Lucas Samaras (left) and Lou Reed (right).